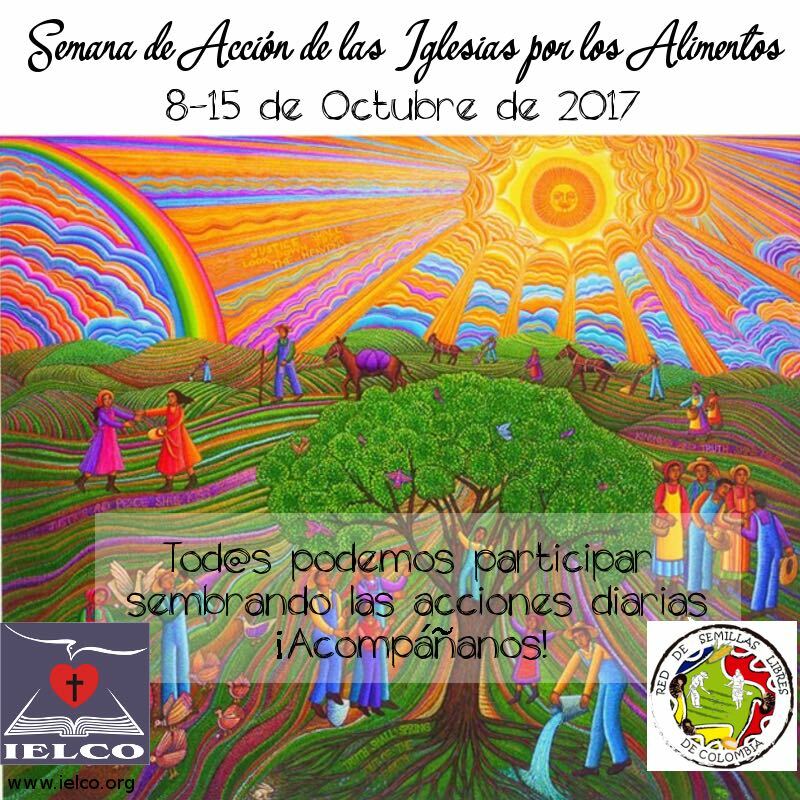 This week, the 8-15 of October, IELCO is celebrating the Church’s Week of Action on Food. We opened the week on Sunday with three worship services (in Bogota, Bucaramanga, and Medellin) with a focus on the centrality of food in our lives and our ability to impact the issues of hunger, malnutrition, and food justice. The promotional poster for the week, designed by Pastor John Hernandez. The rest of this week will be filled with devotionals, videos, readings, and much more. On Thursday, October 12th, Pastor Nelson Celis will host a radio program with various guests from around Colombia to discuss issues of food, and especially issues of seed privatization. In the San Pablo (St. Paul) congregation in southern Bogota, we held a photo exhibition of the areas of the country where the majority of food is grown and harvested and the people that live there and grow the food. Photo by Curtis Kline. In San Pablo, a number of urban farmers and gardeners were invited to share their experiences and sell some of their products. Photo by Curtis Kline. 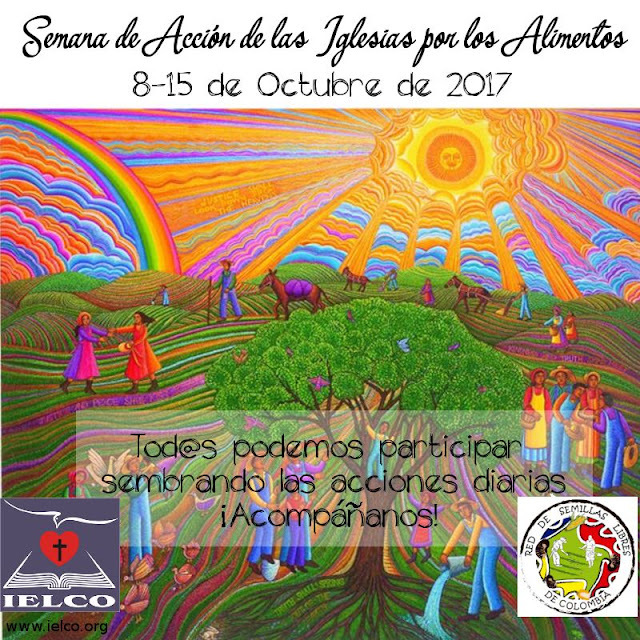 We are celebrating this week together with the Free Seeds Network of Colombia, a network that has been building a relationship of accompaniment with IELCO over the last year. 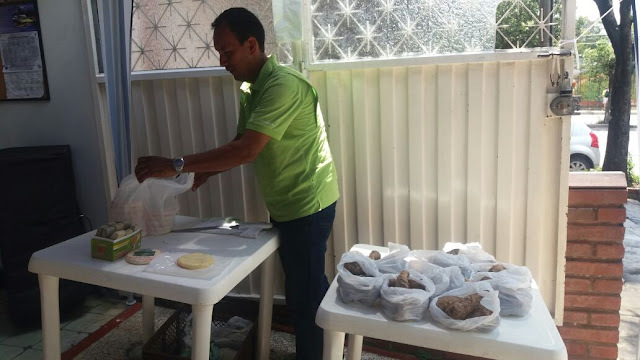 Also, in the congregation of Divino Redentor in Bucaramanga, local producers were invited to share their stories and sell their products. Photo by Pastor Sergio Talero. Here is the link for the website. Also, you can follow our Facebook page.